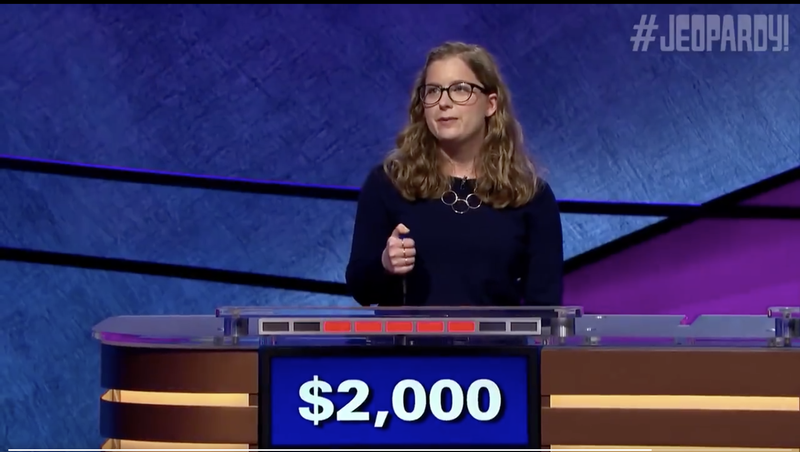 Meet my new favorite person, Emily from Jeopardy, who calmly bodied her competition by knocking out the “Reese Witherspoon Movies” category in less time than it takes to wash five plates and one dirty lasagna pan. Everything about this is beautiful? Daniel, Emily’s opponent, clicks his little clicker with confidence at the first answer—a softball!—but falters, getting himself $200 in the hole while also clearing the space for Emily to stunt. Something about her affect is compelling—the quiet confidence with which she jams her thumb on that clicker, as if she and Alex Trebek are in a private conversation about Reese Witherspoon’s oeuvre and there’s no one else around! Elizabeth, smushed between Emily and the hapless Daniel, leans back and just watches. Maybe she knew some of the answers—Legally Blonde, helloooo, that’s an easy one!—but she understood that when you’re on one, you’re on one. She fell back and let Emily, my new president, shine. Reese Witherspoon Cleaned Her Own Hollywood Star, but Will She Come Clean My Room?